Trying to add up the answer can be frustrating. This is an industry that hasn’t always seemed to strive for transparency. So, what are you paying? How much less could you be paying? In the example below we’re going to look at a couple with $600,000 in traditional public investments across RRSP, TFSA, and Non-Registered accounts. What are “Good”, “Bad” and “Ugly” annual cost approximations? A fee based account management program. Back or Front end commissioned programs. These fees pay for your advisor and the investment firm/dealer they work with. You’re essentially paying A) your advisor for advice, planning, and personal service, and B) the dealer for reporting and custodial services on your accounts, along with ensuring compliance with industry practices and regulations. Dealer fees lump these two areas together. Thanks to new rules annual dealer fee summaries will soon be provided to all Canadian investors (except for insurance industry investments such as segregated funds which are regulated differently). It’s noteworthy that the main advantage of being a do-it-yourself investor is to avoid some dealer fees - if you opt for this route, research your decisions carefully to ensure you don’t wipe out this advantage (and then some) by poorly managing the other costs (below) or by making unwise investments. These are tied to the amount of investments under management. Commissions charged per transaction including commissions for specific investment recommendations or sale of a product. Annual account charges on registered accounts. A structure common to mutual funds where fund sales persons are paid a 5% commission up front. In turn investors are tied to a family of funds for 5-7 years and can only leave by paying penalties. *$6,000 = 1% X $600,000. This assumes a 1% wrap fee applied to the accounts. Transaction commissions and administration fees are waived. **$12,000 = 2% X $600,000. This assumes a 2% wrap fee applied to the accounts. Transaction commissions and administration fees are waived. ***First Year Commission Only $36,000 = 5% X $600,000. This is indicative of first year dealer fees applied if the $600,000 is invested in Deferred Sales Charge (DSC) mutual funds paying a commission of 5%. DSC mutual funds carry exit fees if the client moves their assets away from the mutual fund company generally within 7 years. Trailing fees on DSC mutual funds are generally 0.5%. If you invest in funds you will pay fund fees as well. These fees vary greatly based on mandate e.g. it’s more expensive to manage a collection of Asian stocks than it is for a manager to buy Canadian bonds. Fees paid directly to the fund management company to execute a particular mandate. The “management fee” above plus these “operating expenses” equals the fund’s Management Expense Ratio (MER). If you’re investing in A-class or similar funds the MER will be the sum of not only the “management fee” and the “operating fee” but also the “dealer fee” from above. ^$2,400 = 0.4% X $600,000. This assumes the weighted average MER of the non-trailer paying ETFs and Funds in the portfolio is 0.40%. ^^$7,200 = 1.2% X $600,000. This assumes the weighted average MER of the non-trailer paying ETFs and Funds in the portfolio is 1.20%. ^^^$12,000 = 2.0% X $600,000. This assumes the weighted average MER of the non-trailer paying Funds and investment pools in the portfolio is 2.00%. A disciplined, efficiently managed portfolio. A moderate turnover, managed portfolio. A high turnover, unfocused portfolio. The cost of a fund making trades is not captured in the MER. This is reported in a Trading Expense Ratio (TER) and includes trade commissions, exchange fees, and stamp duties. If you and or the fund you invest in are not deliberately holding cash to fulfil a particular objective there are opportunity costs. The price at which you can buy a traded investment is not identical to the price at which you can sell for any given moment in time. This difference or spread is wider with less frequently traded investments. If placing a relatively large trade it may actually “move” the market against you. Are your TFSAs, RRSPs, RESPs, Pensions and corporate accounts being used efficiently? Different types of investments are taxed differently depending on the account in which they are held. A strong investment plan will take these factors into account. Investments that are un-sellable not only have dubious valuations but also present opportunity costs. What else could your capital be doing or what flexibility would it present if you could access the funds? Foreign governments help themselves to income earned by their corporations even before they have a chance to pay out. Some is recoverable some is not. 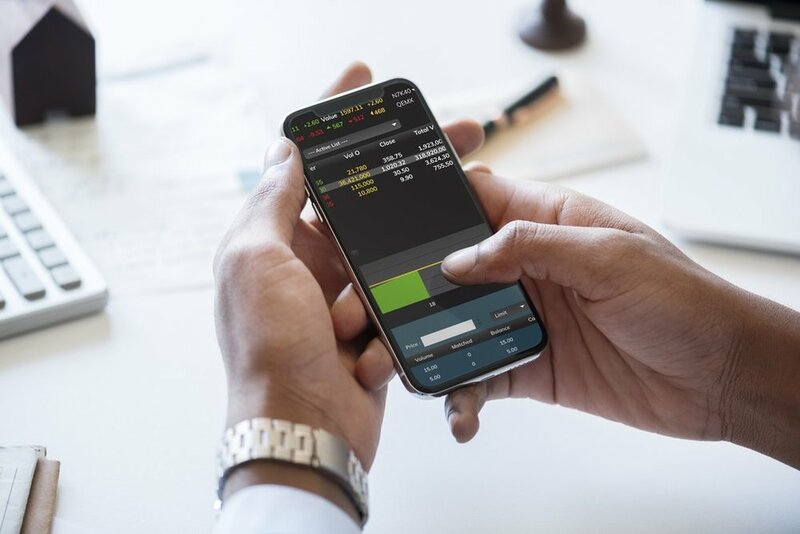 If you’re going to diversify your portfolio internationally your money will have to be converted into foreign currencies in order to buy foreign investments. There are commissions and spread costs for doing so. Indirect costs of not following a disciplined asset allocation approach on a time horizon that matches your investments or rebalancing your portfolio inconsistently. `$4,800 = [TER (0.10%) + Cash Drag (0.10%) + Transaction Spreads (0.01%) Investment Taxes (0.46%) + Liquidity (0.00%) + Foreign Withholding Tax (0.10%) + Currency Conversion (0.03%) + Behavioural (0.00%)] X $600,000. ``$10,800 = [TER (0.20%) + Cash Drag (0.20%) + Transaction Spreads (0.02%) Investment Taxes (1.03%) + Liquidity (0.00%) + Foreign Withholding Tax (0.10%) + Currency Conversion (0.25%) + Behavioural (0.00%)] X $600,000. ```$33,000 = [TER (0.50%) + Cash Drag (0.60%) + Transaction Spreads (0.05%) Investment Taxes (1.25%) + Liquidity (0.50%) + Foreign Withholding Tax (0.10%) + Currency Conversion (1.00%) + Behavioural (1.50%)] X $600,000. ****Costs are either difficult to quantify or only theoretically quantifiable. Your advisor should be your ally in the cost equation and help you navigate all these costs and reduce overall fee and expense burden on your portfolio. Older PostHow to Turn $100 Into $8,500,000 in Just Three Trades!